Want to get organized but don’t think you have the time? And you’re pretty sure you don’t have the money to plop down on a bunch of organizing products either. Getting organized doesn’t have to take forever or cost a fortune. We all want to be able to organize our schedules and have the commitment to maintain them on a day-to-day basis, but how? Creating a workable schedule is typically time-consuming and often results in a frustrating battle with your calendar. Organization is beneficial for everyone and can be easily adapted to suit individual needs. And believe it or not, being organized in your everyday life actually saves you time and money. Here are a few of the way that getting organized will make your life easier. If you’ve ever needed to put your hands on something important (in a hurry, I might add) you know how frustrating it is to be wondering where you put it. Whether you need to find the thermometer because your child seems to have a very high fever or you need to produce a financial document, wandering around scratching your head (while your child cries or your hubby is fussing) is extremely stressful. If you keep your belongings organized, you don’t need to spend time looking for them when needed. This is especially handy in the case of important yet rarely used items, such as insurance or tax information (and any time you need this information it’s already stressful enough!). The key to keeping things organized is to come up with a place to keep something and stick to it (more on that in just a minute). If you want to keep important mail in a desk drawer, make sure you keep all of your important mail in that drawer. Don’t be afraid of sorting your things too much. The more categories of things you come up with, the easier it will be to find exactly what you need when you need it. How many times have you been at the store, noticed an item on the shelf, and thought to yourself, “I know I’ve got one of these at home somewhere but I can’t remember where I put it” and then tossed the item into your shopping cart without giving it another thought. We’ve all done it so don’t be embarrassed. If you could just remember where you put the item you’re replacing you wouldn’t have either of these two additional problems. The issue is that every item in your home literally needs a “home” – a place it belongs, so that you’ll remember where to find it. Fortunately, this is a very fixable problem. By cleaning and organizing the different areas in your home or office you can begin to set up places for your belongings to “live”. Once you assign items a place to live you can find what you’re looking for the next time you need something. This avoids unnecessary purchases and impulsive buys at the store in the future. It’s a very flexible habit that can be applied to many aspects of your daily routine. It can be hard to keep track of every detail when you have a lot going on in your life. Sometimes, bills can get lost in the shuffle and go unpaid, or household maintenance gets overlooked. By keeping all of your activities organized, you can get them done in a more efficient manner and you make sure that every detail is taken care of. I recommend using a planner to help you track everything. There’s no reason to depend on your memory – get those details out of your head and into a good planning system. I’ll talk more about different types of planners in a future posts and how you can use them to your best advantage. I’m a huge advocate of meal planning. In fact, I’ve written before about how you can save money on groceries. If you plan out a menu for each month, you can buy many of your groceries in bulk, saving you time and frequent trips to the store. If you prepare a list ahead of time, you can also look for coupons that offer savings on the things you plan to buy. You can click on the photo below to find different meal planning organizers. The same applies to non-food items, which can be bought in bulk and stored for later use. After all, toilet paper and shampoo aren’t going to go bad if you’re several weeks or months before you get around to using them. Staying organized and keeping essentials stocked up saves you the stress of running out to make a special trip for more. You can also plan out birthday or holiday gifts well ahead of time, so that you can keep an eye out for a good deal. While it may take a bit of effort, organizing your life allows you to use your time more efficiently and to take full advantage of your finances. Not only that, but the more thought-out your budget or schedule is, the less you will worry about them. There are many tools designed to help keep you organized, including all kinds of helpful apps for mobile devices. This is a topic for an upcoming series so stay tuned! In the meantime, you might enjoy this post by my friend Sherry about how to use Google calendar to manage your family’s schedule. 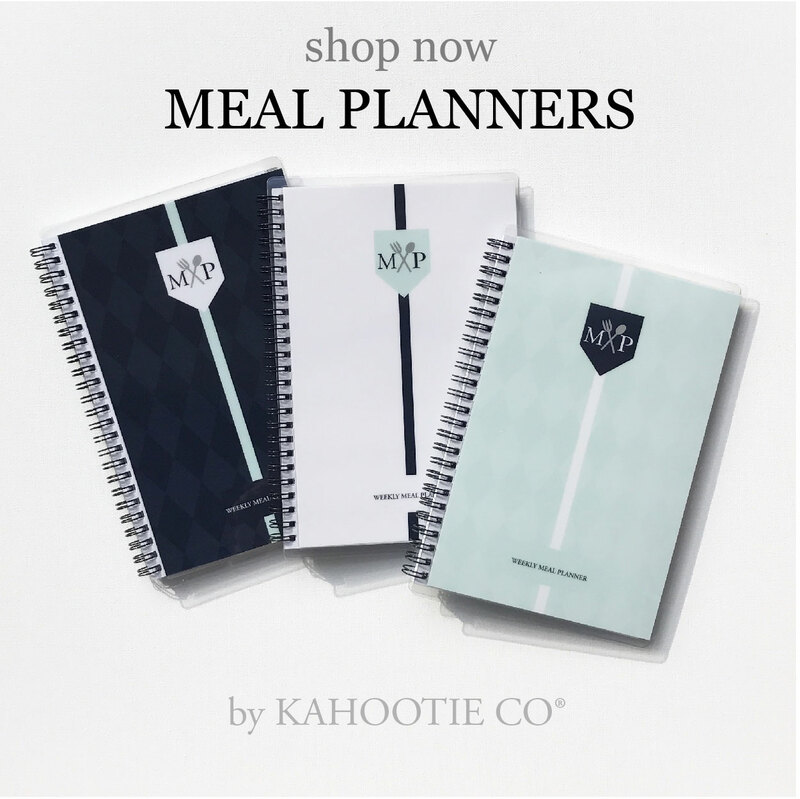 Until you make your choices about what type of day planner and meal planner you want to invest in, I’ve got a couple of gifts for email subscribers. They’ll get you started on your organizing journey and are my way of saying “thank you” when you join the list. There area LOT of planners to choose from – and I’ve tried a bunch of them! I like one that’s got enough room to really write in, lets me see a monthly and daily view, and is pretty (yes, I want a pretty one!). What part of getting organized is the hardest for you?